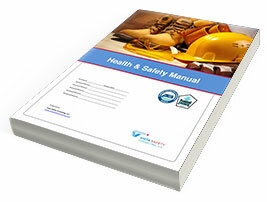 The PCA Midwest “Health & Safety Manual” is available exclusively to all PCA and Plumbing Council contractors at no cost. The 2019-2020 revised document compiled by PCA Midwest safety consultant Roger Paveza, President of Vista Safety Consulting, LLC, features interactive functionality; embedded third-party links; industrywide Safety Data Sheets; Health & Safety Toolbox Talks; and additional OSHA safe work practice policies including “Written Exposure Control Plans” for working with silica. PCA Midwest/Plumbing Council contractors must be registered on our website in order to view and customize the manual. Upon accepting the document disclaimer, users can universally insert their company name and official signature on all related forms and documents contained throughout the various sections. The finalized manual can then be used as a personalized operational and procedural health and safety guide to serve several vital purposes including as a compliance document; a day-to-day reference; a new hire orientation; and an overall commitment to safety. Many long hours, hard work, and PCA Midwest resources have been devoted to ensuring that this manual addresses the many issues that are relevant to our Association signatory contractors’ operations and/or exposures. It therefore includes a copyright marking on all pages. Sharing or reprinting of the manual to any parties outside of the PCA Midwest and Plumbing Council is strictly prohibited. Doing so will result in a copyright infringement and a direct violation of our membership “Code of Conduct” and thus would be subject to disciplinary action. The PCA Midwest, like all of our affiliated contractors, takes the issue of health and safety very seriously. We hope that you will use this manual’s “best practice” procedures in an effort to exceed the expectations of all local, state, and federal regulation bodies. Of course our ultimate goal through the publication of this manual is to ensure the personal safety of each and every one of your employees on the job. This Health & Safety Manual is organized into five primary sections: (1) Administration; (2) Safe Work Practices; (3) Forms; (4) Safety Data Sheets (SDSs); and (5) Health & Safety Toolbox Talks. Review the manual as it applies to your company and exposures. Delete any sections/pages that may not be applicable. This can be done by printing out the document and physically removing the sections/pages or using Adobe Acrobat Pro (can be individually purchased and upgraded if you do not currently use this version). Enter your company name on the ‘TITLE PAGE’ and in the first box on the ‘HEALTH & SAFETY POLICY STATEMENT’ page – to which your company name should populate throughout the rest of the manual. Sign/print your name (along with your title) on the ‘HEALTH & SAFETY POLICY STATEMENT’. Review the manual on an annual basis and update date on title page. We are proud to provide this “Health & Safety Manual” as an “extra” value to belonging to our Association and being affiliated through our CBA with the Plumbing Council. If there are any sections that you would personally like to see added to this document in the future, please let us know. Also, feel free to contact our office anytime if you have a safety related question. We will do our best to answer it or connect you with our safety consultant for individual advice. Remember, we are always here to serve you and help your businesses prosper.